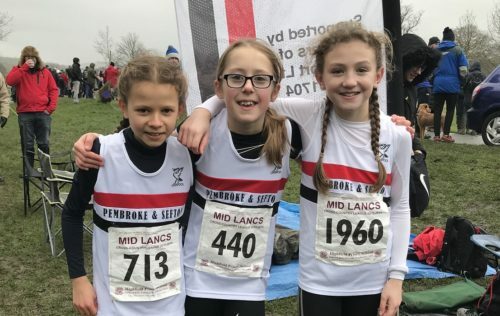 After the excitement of the county cross country championships it was back to the Mid-Lancs Cross Country League at Burnley for Liverpool Pembroke Sefton athletes. Under 11 Sarah Yates is having a very impressive debut season finishing fourth but only a few metres off the winner. A really good spirit is evolving in this age group and Katy Nicholson(21) and Eve Hanaway(22) closed in for fourth team. They will progress. The star LPS team of the season, though, must go to the U15 Boys who again provided a not only formidable trio of Jake Dickinson(3), Michael Henderson(5) and Mark Roberts(9) to take the team race but also a strong support cast of Se Loughlin(12), Jared Nicholls(19), Gideon Lewis(21), Nicholas Usher(22), Michal Kain(24), Jake Hitchmough(39) and Daniel Rathbone(42). Few teams clubs can withstand that sort of onslaught. 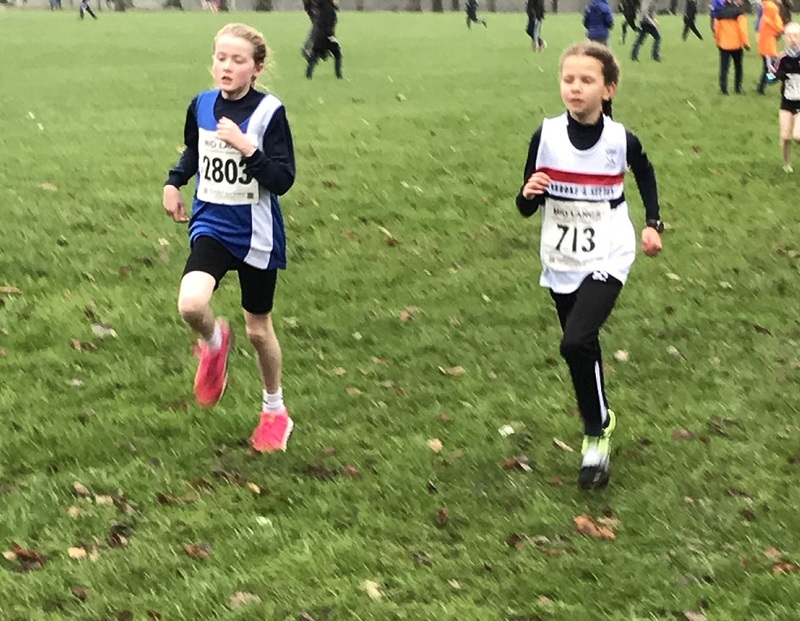 Back to the girls and LPS fielded at U13 Chloe Bousfield(41), Hannah Williamson(45), Amy English(51) and Katlyn Swift(54) for 9th team and at U15 Katy Sutcliffe(10), Emily Williamson(29), Freya Wissett(38), Ruth Usher(39) and Cara Tamburo(41) for sixth team. At U17 LPS had Jennifer Williamson(6), Phoebe Lucas(9) and Bethany Swift(11) to complete the only team. Vicky Gilbody(46) was the only Senior Woman to make the trip to Townley Park. The Under 13 Boys are growing in numbers and confidence. James Read(11), James Garner(29) and Nathan Taylor(31) combined for 5th squad but Harry Corcoran(32), Ethan Tinsley(35), Conrad Lewis(40) Oliver Farrer(47) and Charlie Rotherham(52) are beginning to show the determination of their U15 club mates. There was an astonishing U17 run from Oliver Sutcliffe(2) with Tom Corcoran(8). 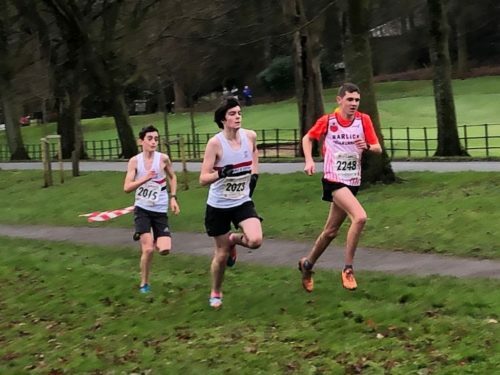 Tom Corlett was alone in the older age group but managed a highly commendable 4th at Under 20.